Our camp would not be what it is without our caring, devoted, dependable and loyal staff. It starts at the top and trickles down to everyone else. We have a lot of Senior adult Staff. They make up the supervisory level that manages and oversees the college aged bunk staff, those living with your children. The important attribute is that these leaders effectively connect and build trust with their campers and staff. Below is a brief look at some of our key staff members. Not everyone is listed, as this list can go on for quite a bit, as we have many terrific staff members that we are very proud of. Over 45 years at Camp Towanda, Bob started as a young camper, met his wife here, his sons were raised at camp and his mother-in-law was the former girls' head counselor! Everyone looks up to Bob for leadership and some good sports trivia. Tradition runs through his blood! Bob is a teacher in the New York City school system. 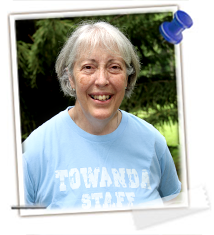 Amy is part of a 4th generation Towanda family spanning over 40 years. Amy started off as one of the youngest campers and has gone through all the ranks. Amy knows Towanda. Amy knows Girls' Camp. Amy knows a lot about spirit, leadership and empowerment, too! And all the girls love her! 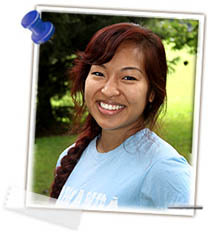 She is highly respected by the campers and the staff, while her enthusiasm and zest are contagious. She lives in Florida with her 2 daughters who also attend Towanda. Fun, connected and loved. 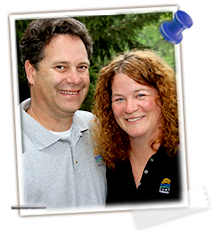 Lisa and Michael met at Towanda and are raising their 4 kids at camp; combined, they have over 40 Towanda years of leadership and friendship experience! Lisa is a middle school science teacher. Michael is a high school Health Science teacher, certified athletic trainer and EMT. Bob Miller & Michael Pelton on Boys' Camp and Amy Miller and Lisa Pelton on Girls' Camp. Our Senior Staff is an incredible team; we work year-round coaching, planning, mentoring and preparing for our counselors and campers. The diversity and experience each of our Senior Staff brings to the table only fortifies the foundation of our camp culture! 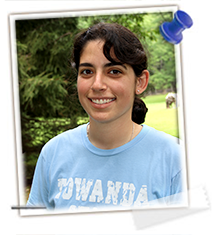 Jackie grew up at Towanda, was a great bunk counselor and now as one of our Assistant Head Counselors, adds to the freshness, intelligence and energy of what makes Towanda more than exciting.....and she is from California!! With the insight of a concerned parent and the experience of being on our Senior Staff, Shari's spirit, knowledge of camp, approachability and stamina makes her a great New Parent Liaison. Kids, staff and parents love her. Those that plan to visit our camp in action will speak with "Tour Shari", who will help with directions, lodging and all the coordination. You don't have to worry about anything! She adds comforting Camp Towanda perspective and wisdom. 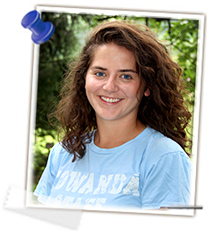 Lauren grew up at Camp Towanda (camper, counselor, general) and is now a passionate alumni and camp parent. In addition to her social media, website and blog duties, Lauren is also the Parent Liaison for enrolled families and Supervisor of the W.O.C. She works for camp year-round and keeps us all on our toes, digitally savvy and the best in our field, while communicating and appropriately getting the word of Towanda out there. She lives in New Jersey with her husband and two kids who are also campers! Starting as a counselor, rising to a Group Leader, Amberly (from Kansas) is in our year- round office helping in all aspects of preparation and parental information! Very pleasant and soothing on the phone! 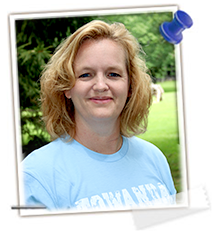 As a former Towanda counselor and parent of 3 campers, Stacy adds to our team her perspective and input. You can find Stacy helping in the office, on the phone with parents or giving a hand to many different departments; a true Towanda player! Lauren Cohen has spent over 15 summers as a camper (and then counselor!) before coming back as our Nutritionist. She has her Masters from New York University in Clinical Nutrition and Dietetics (RD) where she specializes in pediatric care and is on the full time staff of DuPont Children’s Hospital in Delaware. Lauren’s philosophy on eating is that all foods fit. 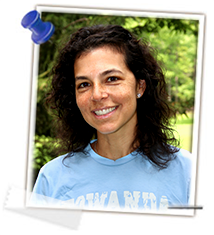 Here at camp, she focuses on balancing the “always foods” and “sometimes foods” paying special attention to campers with allergies and picky eaters. As a reformed picky eater herself, she is thrilled to be back helping campers and parents navigate the camp menu. The who, what, where and when at camp happens because of ASAP’s attention to detail. The daily program is based upon his creative managerial skills that balance the variety of land, water, arts and outdoor adventure activities, along with particular interests and feedback. The result is a great and exciting program. This New York dynamic duo brings fresh leadership and supervision to our campers, parents and staff. Ziggy is a Group leader on Boys Campus and Deb is s a camp mom to all; both providing mature guidance and comfort. “Z” is the man who takes care of overseeing our staff recruitment team, traveling the country and the globe to face to face interview our staff. He is an experienced camp professional with over 40 years of handling every possible position (truly from bottle washer to chef). “Z” has been an ACA Camp Standards Accreditation Visitor for 35 years and has served the ACA as a Board member and Committee chair. In addition, “Z” leads the PA Camp Association as a government affairs liaison with the camping industry in PA. In regards to logistics, we have no problems at camp, we have “Z”. Jared was born and raised at camp and is our Head Tour Guide and resident Lego Master. He is also in charge of our staff relations, working closely with the returning staff and alumni staff that help make our camp family so strong. Jared is also the camp’s Certified Safety Director, Certified SafeServe Food Manager and has a Master’s in Camp Administration. He is certainly not afraid to get down and dirty; helping with many of the onsite projects at camp. As a parent herself and Group Leader to our youngest girls, Melissa’s natural motherly love provides comfort to her campers and confident leadership skills to her counselors. She sets the bar for fun, participation and friendships! As a terrific mom of two girls, Randi (CMI) is also our go-to "Food Mom", helping children with food allergies (and overseeing our special dietary kitchen galley), sensitivities and concerns, navigate their choices at camp, while keeping them safe. Randi lives in Connecticut and is a teacher. Camp Mom Barrie (CMB) keeps boys camp clean, organized and feeling loved. She is incredibly hands on, providing a mom's touch and guidance wherever needed. From making sure the boys have their gear at activities to trimming their nails… Barrie's on mom duty for sure! Barrie lives in Florida with her husband and three kids who are also campers. CMR (Camp Mom Ryan)'s endless energy and fun-loving spirit helps girls camp feel extra loved and supported during camp. With a Masters degree in Marriage and Family Therapy, CMR is ready to cheer her campers on with encouragement! Also an avid tennis player and singer, Ryan joins us from Florida, where she is a mom of two campers. “Charney” leads and supervises our youngest boy campers, helping them thrive and become independent, happy campers! There’s no challenge with boys that Charney isn’t ready for and his campers have excellent manners in the dining hall! Jason is a middle school science teacher and soccer coach. He is also the father of four campers! Karyn is a leader who raises the bar of expectations. Her “O&A” Team (that’s what we call Outdoor Adventure) is highly trained and focused on safety and confident participation creating one of our most popular activity areas. Her positive impact is felt throughout camp by each camper and counselor, resulting in excitement, adventure, trust, self-confidence and safety awareness. A confident and organized manager, a qualified instructor, a safety guru and on top of her game all around. “Waterfront Mara” is the dictionary definition of who we would want running our waterfront program. The kids love her and the staff respects her. You will find her with a megaphone and a whistle at all times! She lives in Florida with her husband and two kids who are also campers. Mary is the Head of a private school art department and is a top level creative instructor and manager. Mary runs our fantastic arts & crafts department and leads creative projects ranging from woodworking, ceramics, mosaics, glass projects and more! Mary and Stephanie Reiter make a great team, inspiring creativity in our huge art barn! Yet another great family team; with over 40 years of combined sleep-away camp experience, Coach Lee is our Tournament Director; but it doesn’t stop there; with incredible and strong influences in all departments, especially soccer! 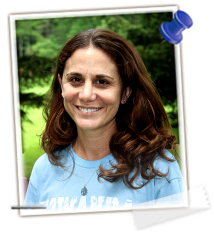 Lee’s wife, Charlene, is our Drama Director, bringing expertise and entertainment to this popular department at Camp Towanda! The shows always go on! Both, are proud parents and wonderful examples of the quality, care and love of our Senior Staff. During the winter Jen runs a gymnastics school in Florida. Her skills, knowledge and management style have turned our awesome gymnastics pavilion into a very popular activity for all campers of all abilities; from novice to Level 9. Passion, stamina, integrity, accountability, experience, and professionalism are a few of the ingredients our Senior Staff brings to our program. Similar to all of our Department Heads, Dani Gil, brings a fresh and energetic approach to our exciting USTA Tennis Program. Dani supervises and manages his tennis coaches and is “right there” on the courts with the campers helping develop and improve their individual skills. During the off-season, back in Valencia, Spain, Dani is the owner and director of the GMT Tennis Academies in Torrent and La Balaguera. Va’mos Towanda Tennis! For over 10 years, it’s really “Erica Media” who helps us tell our story through FridayNiteFlix.com , The Towanda Times, flyers, graphics, photo uploads, live camera feeds and anything else technical and creative that we need, she’s got the skills. MTP lives and loves every blade of grass on camp. It is his home year-round and he takes great pride in the maintenance, care and new projects and works closely with the W.O.C. team and Mitch.